Trying to clear a clogged shower drain can be a bit of a hassle if you don’t know what you’re doing. 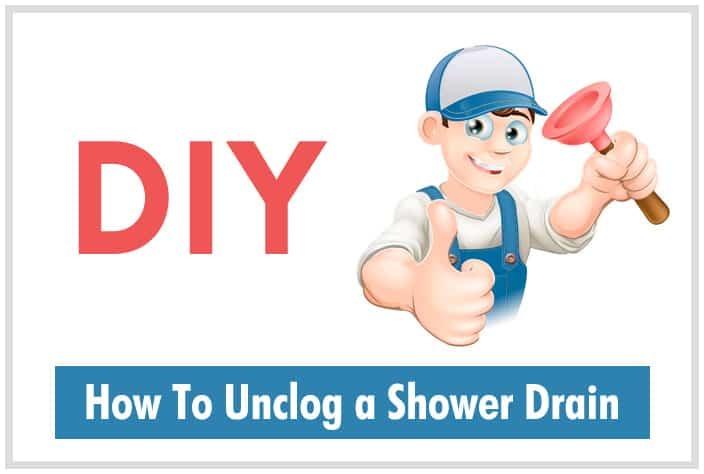 Overpriced fluids and other hardware store supplies are often the first choices for many people, but there are far better alternatives when it comes to answering the question of How To Unclog a Shower Drain. Of course, most people in this situation will just call the local plumber, and sit back while he uses a simple technique to unplug your clogged shower drain that you could have used yourself. 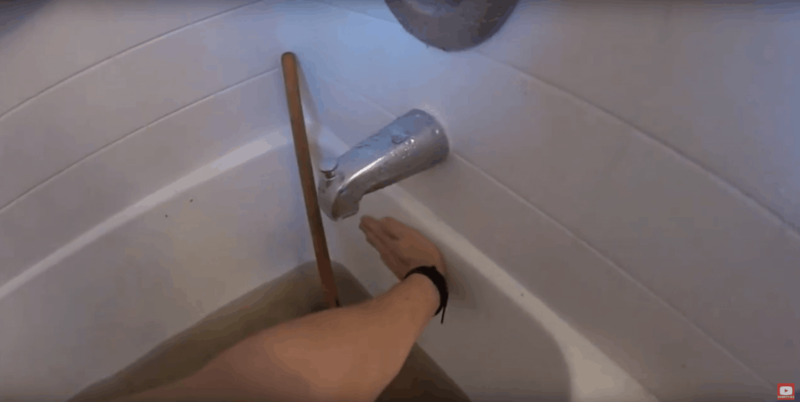 The fact is, any plumber could teach you how to unclog a bathtub drain in 5 minutes, and that’s what you’re going to learn right now. Let’s take a quick look at a couple of techniques you can use to unclog your shower drain and save yourself some money in the process. 2: Try to use the plunger to get up the things that are clogging your bathtub. You need to try to keep plunging a few times. And try to let it out. 3: In order to use the plunger, you also need to put a rag or something to cover the hole while you are using the plunger. Or else you will just push the air around. And it will have no effect. 4: If the plunger did not work, you need to find the Snake. The Snake will drill through the dirt and the hair you have in your pipes. 5: Now we are going to feed the snake down to the overflow. Keep feeding it down by hand. Remember to change your clothes to something you can get some dirt on. We recommend you to use some gloves to protect your hands, and use some goggles to protect your eyes. Just to be on the safe side. 6: When it comes to the point where it wont go down anymore cause its stuck in the dirt and hair. 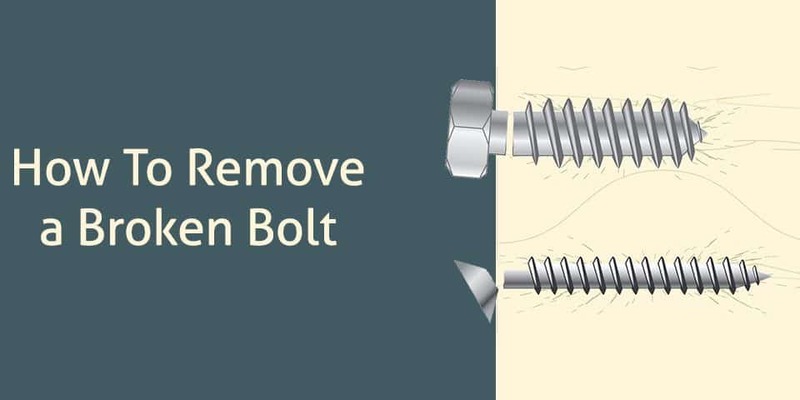 Turn that set screw to lock the snake in place. 7: Turn the wheel of the Snake untill its past that part where its stuck. Once you got pass that, keep feeding the snake by hand. If it comes to that part where its a bit stuck again. Pull the snake a bit back, and try to start it up again. 8: Once you hit that spot where you drilled through it all, you will see that the water will go down the drain again. To make sure the drain is unclogged, turn the water to full blast to make sure it stays unclogged. 9: Now that we are done! We are going to pull it out the same way we started working with it. Turn the screw back again. And pull out the snake while turning the wheel. In most of the cases where its clogged up, its almost always hair. OH MY! Thats a lot of hair! As you can see, it’s really not that difficult at all to take care of a clogged shower drain. 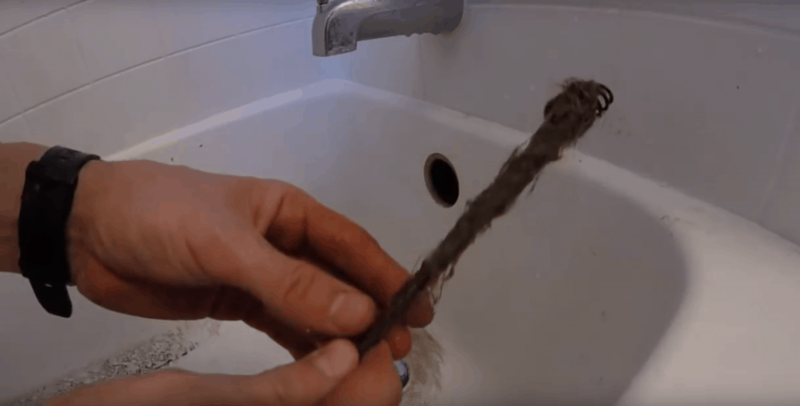 When it comes to answering the question of How To Unclog a Shower Drain, there are a couple of quick solutions available to just about anybody. 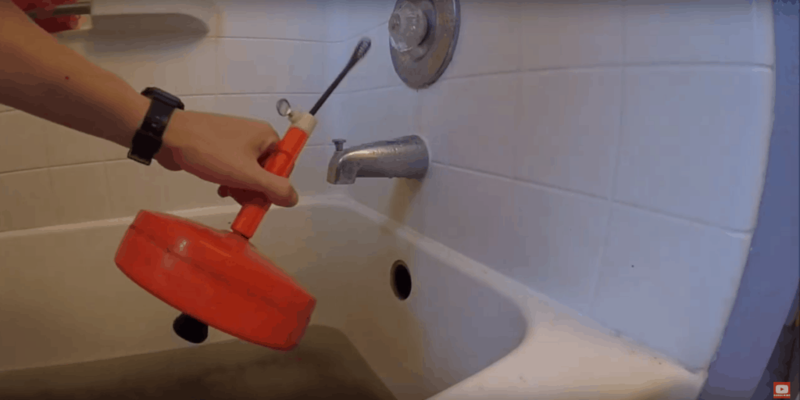 If you’re looking for a quick fix to unclog your drain, all you need is a screwdriver and a plunger. Simply pull off the overflow cover and plunge your drain until it opens up. If that doesn’t work you can stick a hand-auger inside the overflow cover and keep working it down and cranking it until your drain opens up again. These methods are simple and cheap, perfect for a quick fix but not so great as long-term solutions because they usually just push the hair and dirt down further. For a permanent solution, you’ll want to go with something like a Vacmaster or an Armor Gallon Utility Vacuum. These types of machines will be way more effective at clearing out your shower drain for good, but they will cost you a bit more. At the end of the day, it really depends on how serious your clogged shower drain is, and what kind of solution you want. Either way, you now know how to unclog a shower drain with a handful of techniques so you’ll never have to waste money on a plumber again! If you are kind of person that needs to watch a video to take it all step by step, I would recommend watching Jonny DIY.